This is an oval Ace High Motor Oil porcelain sign. This particular Ace High Motor Oil sign is predominantly navy with white text and touches of orange. 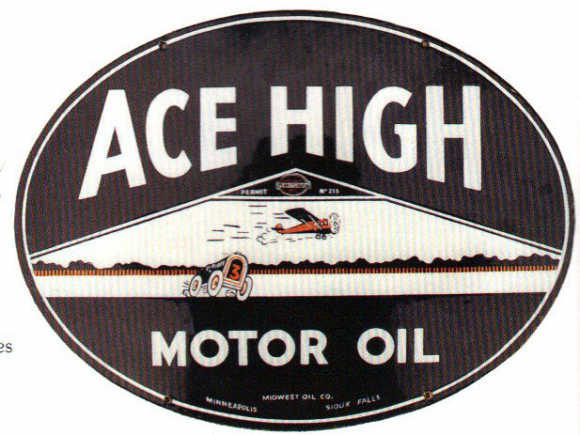 It reads, “Ace High Motor Oil”, and features a derby car and an airplane.